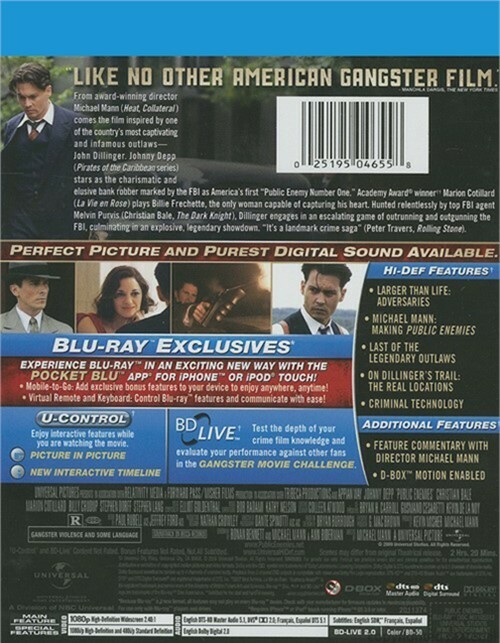 From award-winning director Michael Mann (Heat, Collateral) comes the film inspired by one of the country's most captivating and infamous outlaws - John Dillinger. 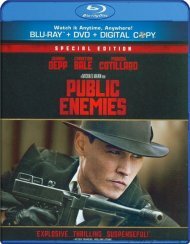 Johnny Depp (Pirates of the Caribbean series) stars as the charismatic and elusive bank robber marked by the FBI as America's first "Public Enemy Number One." Academy Award winner Marion Cotillard (La Vie en Rose) plays Billie Frechette, the only woman capable of capturing his heart. 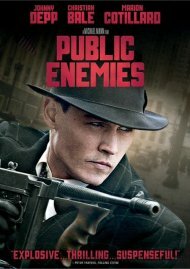 Hunted relentlessly by top FBI agent Melvin Purvis (Christian Bale, The Dark Knight), Dillinger engages in an escalating game of outrunning and outgunning the FBI, culminating in an explosive, legendary showdown. 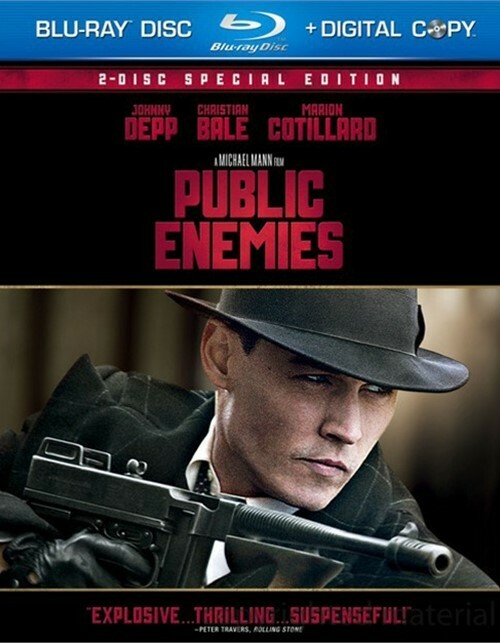 "It's a landmark crime saga" (Peter Travers, Rolling Stone). 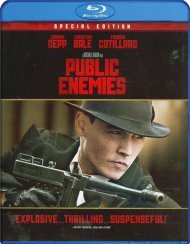 Review "Public Enemies: Special Editio"
Reviews for "Public Enemies: Special Editio"